When someone says Pentel Tradio this is the pen I think of. Black barrel, windowed cap, and most importantly, angled felt tip. It has been around for years and seems to be the traditional model. 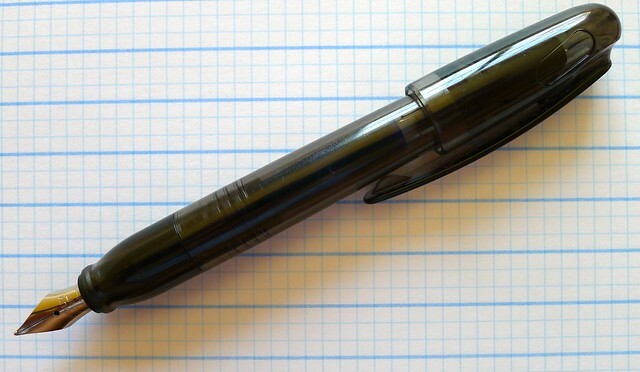 Pentel has found a way to dilute the Tradio line with several unrelated models, such as the Tradio Energel, Tradio Fountain Pen (some people refer to the original as a fountain pen too), and the disposable Pentel Pulaman, which uses the original Tradio tip. Is the Tradio name more about the barrel design than the tip design? I'm confused, but we are not done yet. Say hello to the Pentel TRFS Tradio Mini Fountain Pen. The Mini takes the traditional barrel design, shrinks it, makes it translucent, and adds a medium steel fountain pen nib. The size of the pen is nice, but I'm not a fan of the grip area. It almost has a convex feel to it. The nib is decent, although not as glassy smooth as the full size model, but it does take short international cartridges, which is a bonus. All that said, I don't see a need for this pen. Mini fountain pens are a tough nut to crack and no one does it better than Kaweco. They are well made, come in many price points, and have wonderful (and swappable) nibs. I'm interested to hear from you on this: Do you have a go to mini fountain pen? 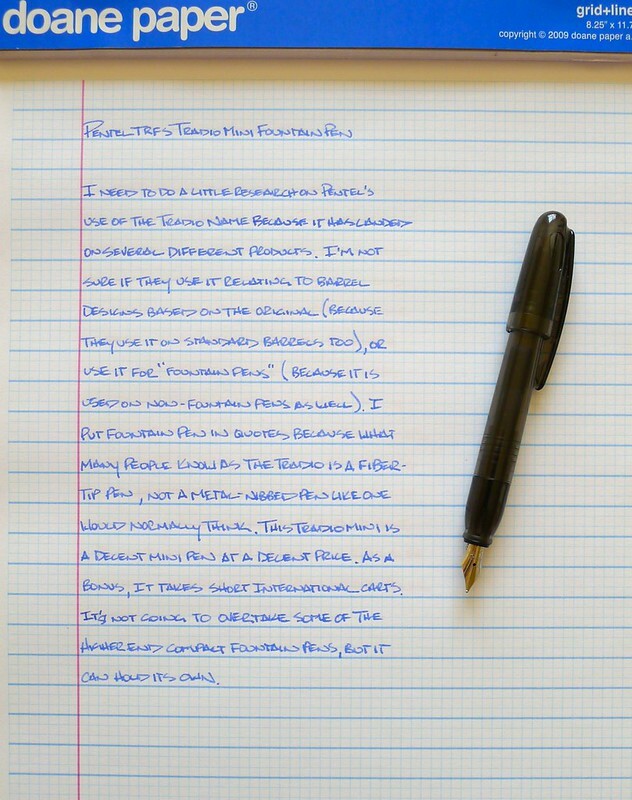 Posted on July 10, 2013 by Brad Dowdy and filed under Fountain Pens, Pentel, Pen Reviews.